The System Administration tools are now available for the Board Web Client. If you have been given proper license (Developer) and Administration right in the Board Web Client the System Administration menu Item is prompted. For the User basic principles please refer to the Security basic concepts section. It is possible to Edit the Username, attribute or change the User's Profile, adding personal info such as email address, Display Name (this nickname is displayed in the Chat instead of the username) , Phone Number and Image. 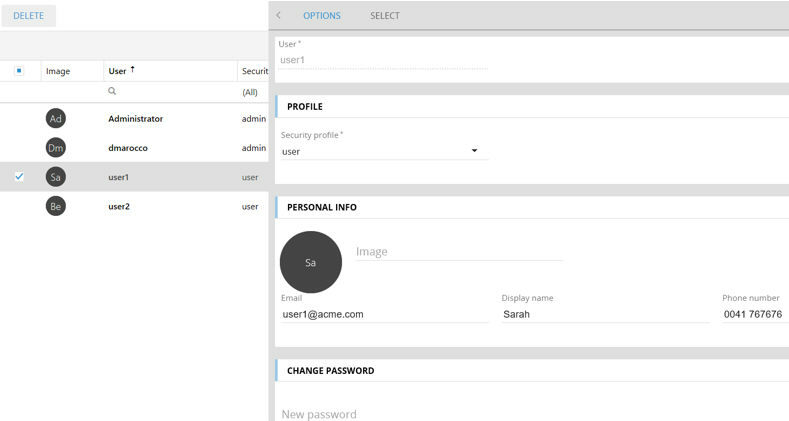 It is also possible to reset the user's password. Click 'SAVE CHANGES' when done. Click on 'DISCARD' to undo. Please notice that is now possible to select multiple users and change their profile together. It is possible to search user typing the search string and then clicking on the magnifier icon. The Search , searches on the Username column only. 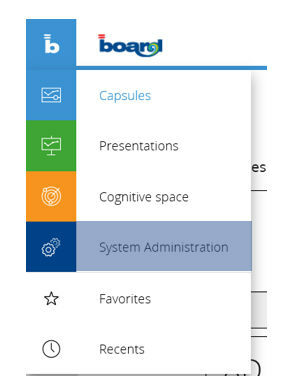 It is possible to select which information you like to display in the User Management Control Panel. Click on the 'Column Chooser' Icon and select the Data (Columns) you like to display. Each column can be sorted. It is possible drag and drop one or more of the User's attributes (columns) in the top gray area. Such attributes now work like grouping criteria (see the image). Clicking on it you can sort its elements. The first user (for 'On-premises' installations only) must still be created from the Board Server configuration Panel. The User's Image can be setup only typing its URL; the URL can be available in your corporate repository (such as Office 365) or hosted on your http server such as IIS. Board Web Server doesn't provide this service. 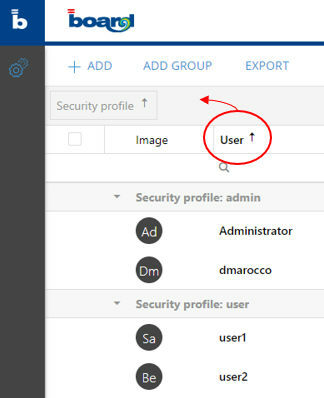 For the User Profile basic principles please refer to the How to create a user profile section. Proceed editing all the properties you need, then click on 'SAVE CHANGES' when done (DISCARD to undo). 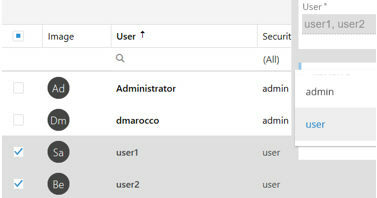 It is possible to Search among the User Profile names, to add or remove Columns sorting the column's items clicking on the column's header. For the Folder Profile basic principles please refer to the Board 10.0.3 Release Notes section. To add Rule to the Folder Profile click on the Folder Profile name and add your Rules. Click on 'SAVE CHANGES' when done (DISCARD to undo). 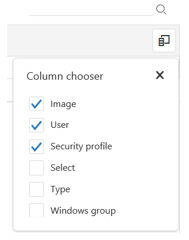 It is possible to Search among the Folder Profile names, to add or remove Columns sorting the column's items clicking on the column's header. It is possible to add new custom attribute to the Username. These will be available in the Username Edit Panel like additional Personal Info. They can be then used to Sort and Filter the Users. If 'Read only' only the System Administrator can edit it. 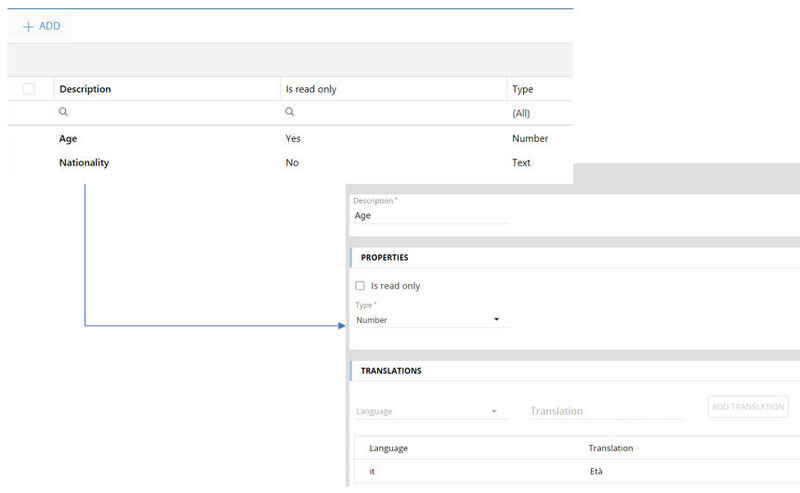 If you need to translate the Description of the Metadata, select the User's language and edit its description. It is possible to Search among the User Metadata, to add or remove Columns sorting the column's items clicking on the column's header. 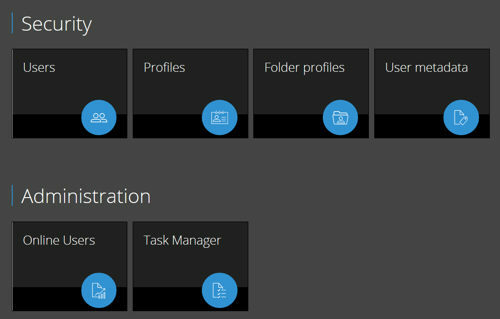 The Online User control panel tracks the latest activities of the Users such as Login and Logout, and last performed operation on the target database. Click on the 'REFRESH' Label to update the list. it is possible to Search a user or to chat with any of them is still logged.